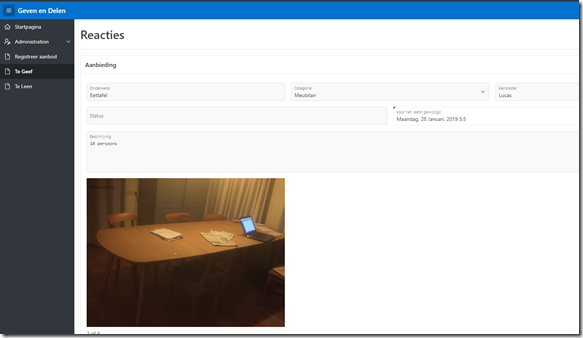 In this article, I will share some of my personal findings and discoveries as I start out building a small APEX application. No experienced developer is likely to learn anything from this article – but first timers like me could perhaps benefit from my findings. Challenge: I want to set the default value of an item when the user creates a new record and I want this default value to be derived using a SQL query that filters based on the user identity of the current user. I have a MEMBERS table that contains entries corresponding to all my application’s end users. This table contains a column USERNAME with values corresponding to the usernames with which my users log in. 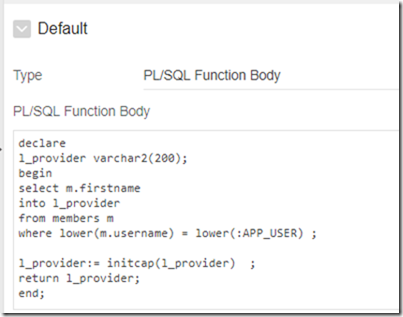 Define default for page item of type PL/SQL Function Body, write a PL/SQL code block that returns value of the correct type. 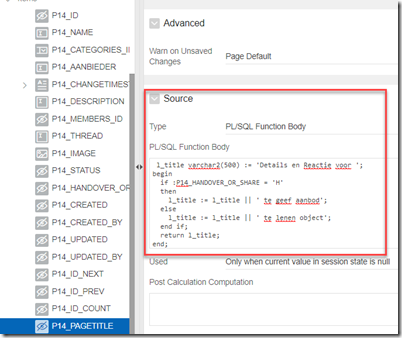 The bind variable :APP_USER can be used in the PL/SQL code to refer to the username of the current session’s user.. 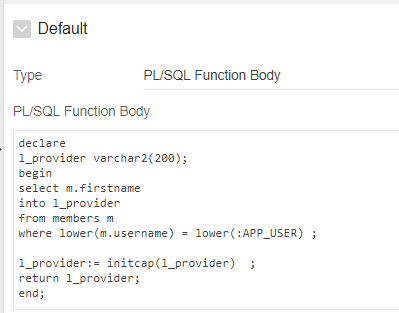 In the PL/SQL code, perform a query against the MEMBERS table, filter on username using :APP_USER and return whatever column value is needed to be used as default value. Challenge: I have a table that contains a column based on a BLOB column. I want the cells in this column to display an image based on the BLOB. However, the size of the image has to be contained. I can not directly define a CSS property for the column. So I need a workaround. 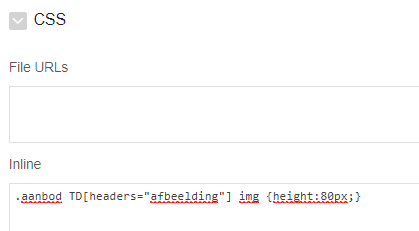 Here I specify that within the global selector aanbod that was specified at page level (and applies to all elements in the current page) all table cells whose header attribute has the value of afbeelding should have the CSS property height set to 80px for any images (img elements) they happen to contain. 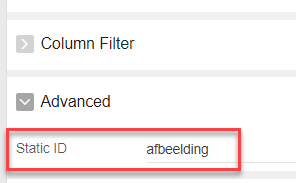 The result of this setting is that each cell (TD element) in the column has an attribute headers set to the value of the Static ID (afbeelding). My interactive report’s table component contains a column called NAME. 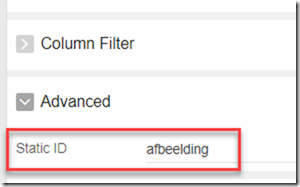 The underlying database table also contains a column called DESCRIPTION, a VARCHAR2(4000) field with additional descriptive content for each record. I would like the content of description to be shown as a tooltip for cells in the interactive report. 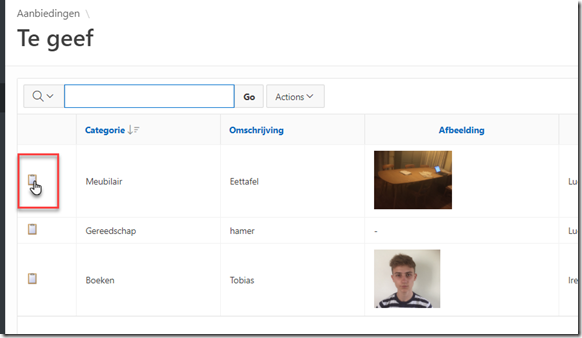 When the mouse hovers over the name value, the description of the corresponding database record should be displayed as tooltip. 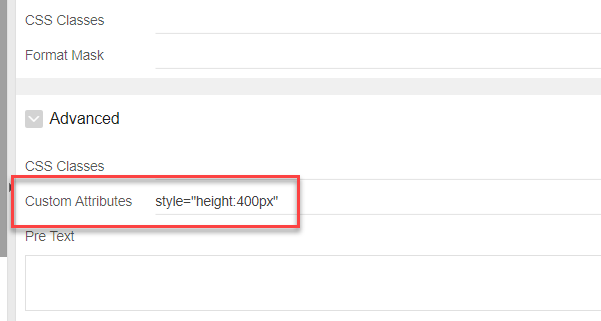 Note: the #DESCRIPTION# placeholder can be used because the DESCRIPTION page item exists – as hidden column. Instead of the standard pencil icon, I would like to use a different icon to drill down to the details page. 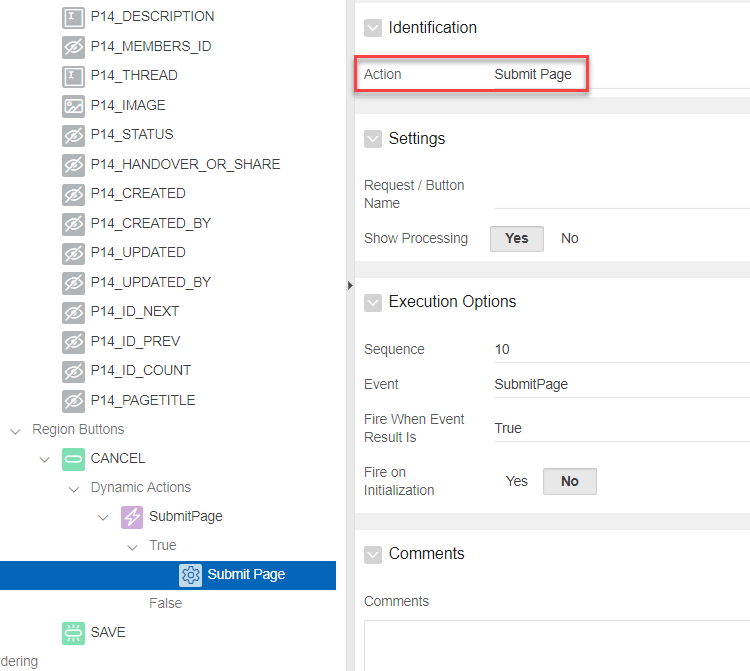 Using a blog article, I have learned that I should edit the attributes of the Interactive Report template instance in the current page. The Link Icon attribute defines the icon that is shown. It is easily changed to a different icon. 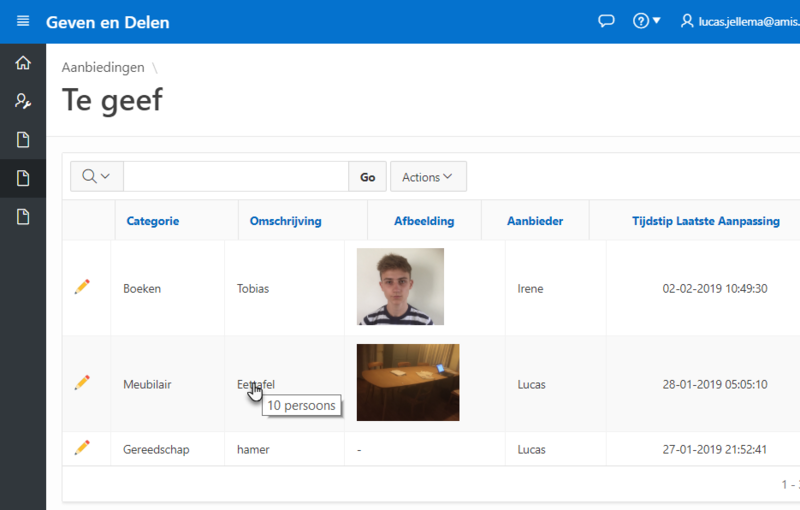 Details en Reactie voor Te Geef Aanbod &P14_HANDOVER_OR_SHARE. Note that the Page Item Reference starts with & and ends with . (a period). 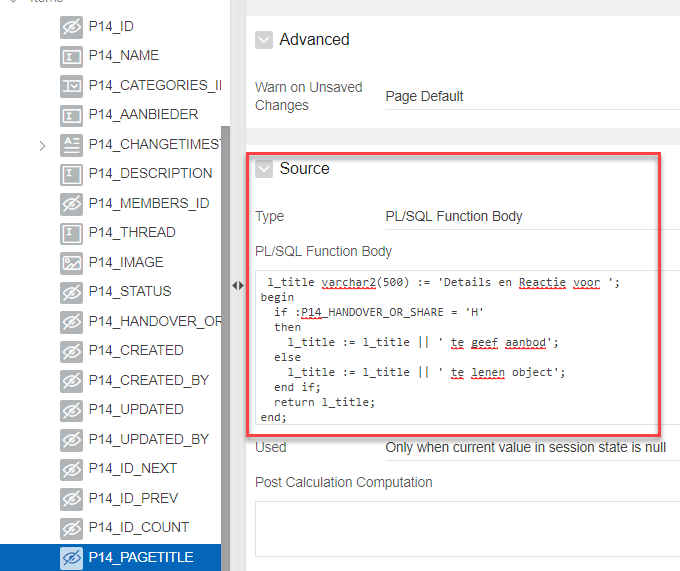 I create a new page item, based on a PL/SQL Function Body. In this body, I derive the proper value for the page title. I then define the page title using a substitution variable that refers to this page item. I am using a single edit details page that is drilled down to from two pages. 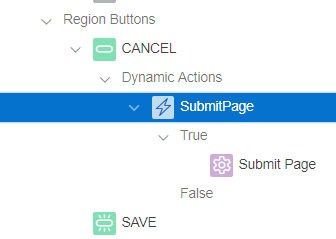 When on this page the Cancel or Save button is clicked, it should navigate to original page – which is one of two options. 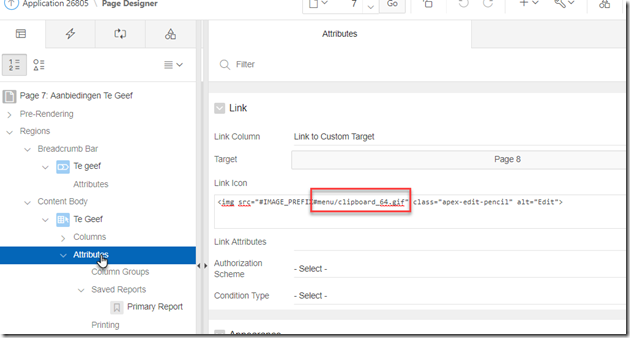 How can I instruct APEX to evaluate the target page at runtime, based on session level attribute or a page item. 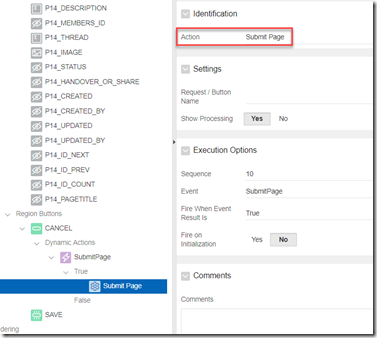 Add an Action under the Dynamic Action to specify what should happen: Submit Page. 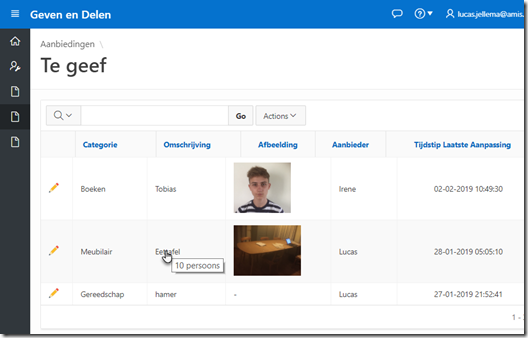 The branch will perform navigation to the desired target page. It executed a PL/SQL Function block to determine the page it needs to navigate to – using APEX_PAGE.GET_URL, and using the page item HANDOVER_OR_SHARE that determines which page the navigation should take place to. 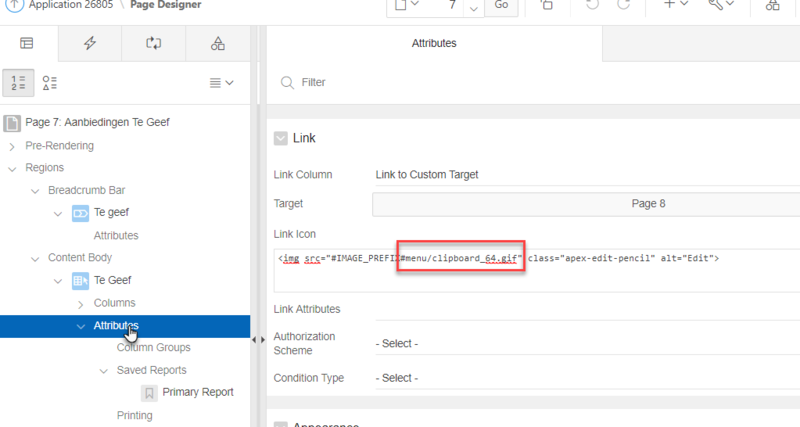 How to create dynamic links in Oracle Application Express? how can i configure oracle apex user to connect to database through proxy user?